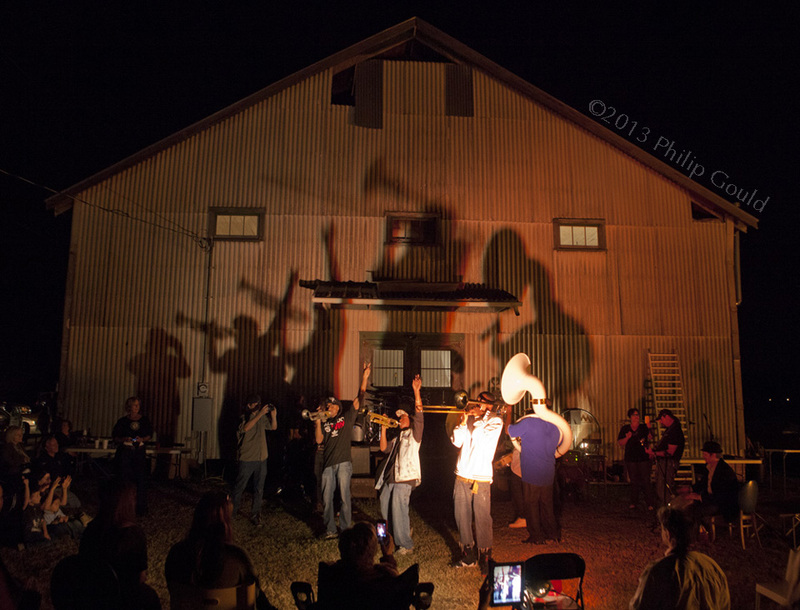 Soul Xpress Brass Band from Opelousas performs in front of an old sweet potato warehouse during the Fire and Water Festival in Arnaudville, LA. 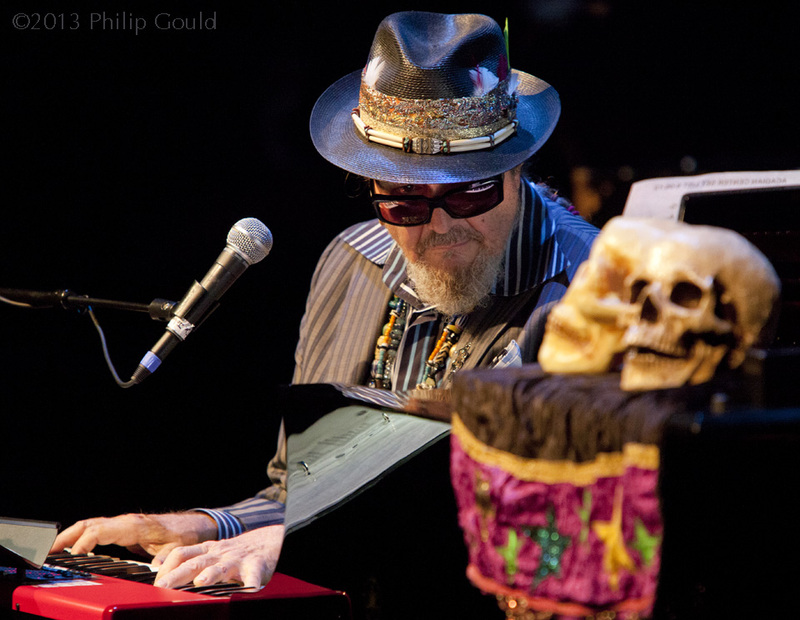 Dr. John brings his night tripping self to the ACA in Lafayette, LA. 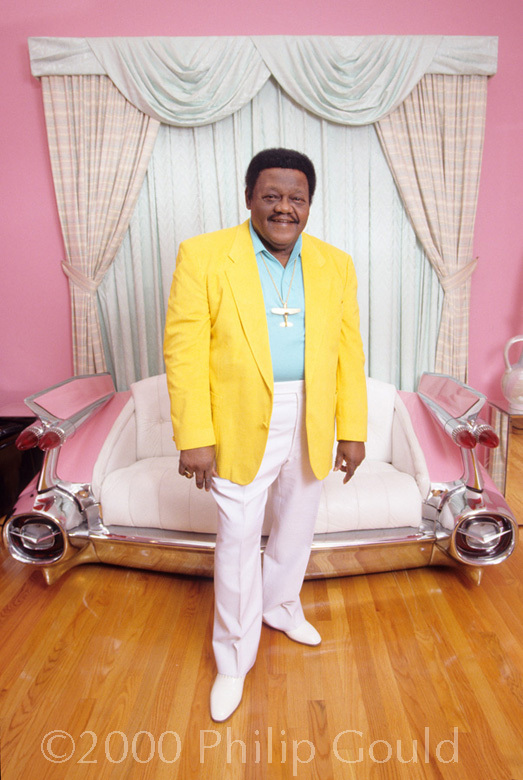 Antoine "Fats" Domino poses at his home in New Orlean's Lower Ninth Ward, the neighborhood of his birth. The photograph was taken prior to Hurricane Katrinna when Fats was forced along with everyone else to leave the area. Blind Clarinetist, French Quarter, New Orleans. 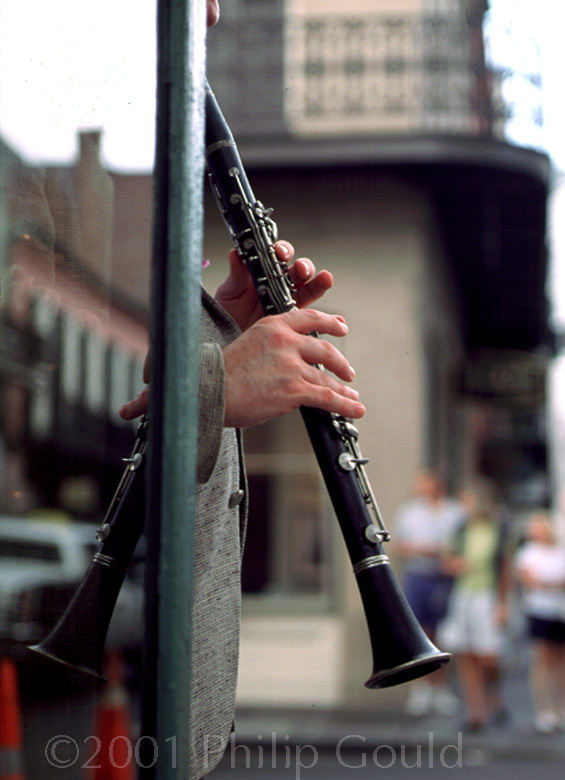 Jeffrey Diket, a blind clarinetist, plays on the streets in New Orleans' French Quarter. 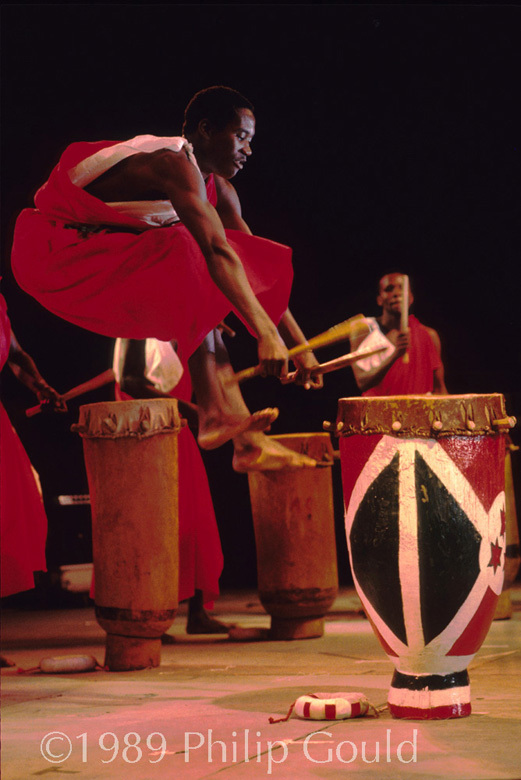 The Burundi Master Drummers perform at the 1989 Festival International de Louisiane in Lafayette, LA. 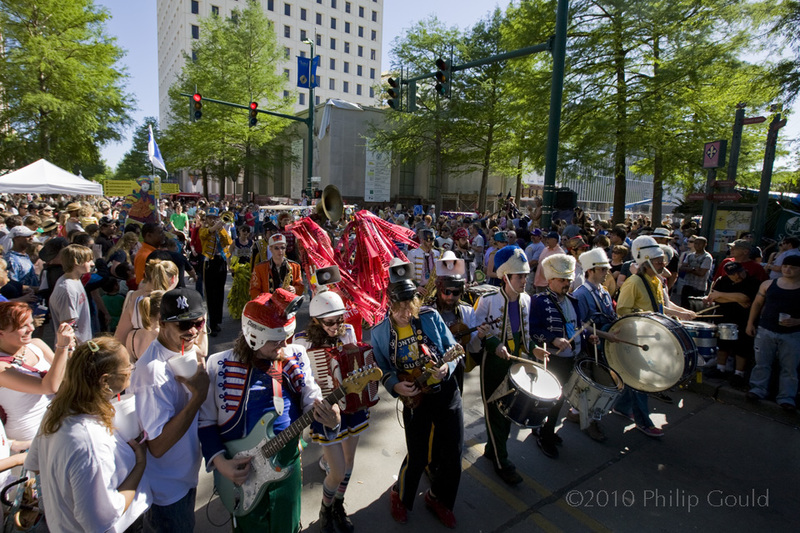 Each year during Festival International de Louisiane various groups parade through downtown Lafayette. It is often visually interesting. 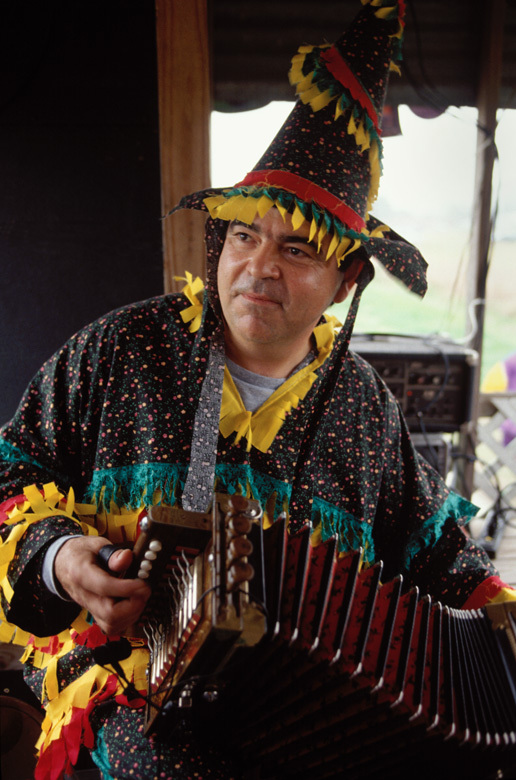 A young Cajun Mardi Gras celebrant learns how to play the T-fer, a percussion instrument in Cajun music. 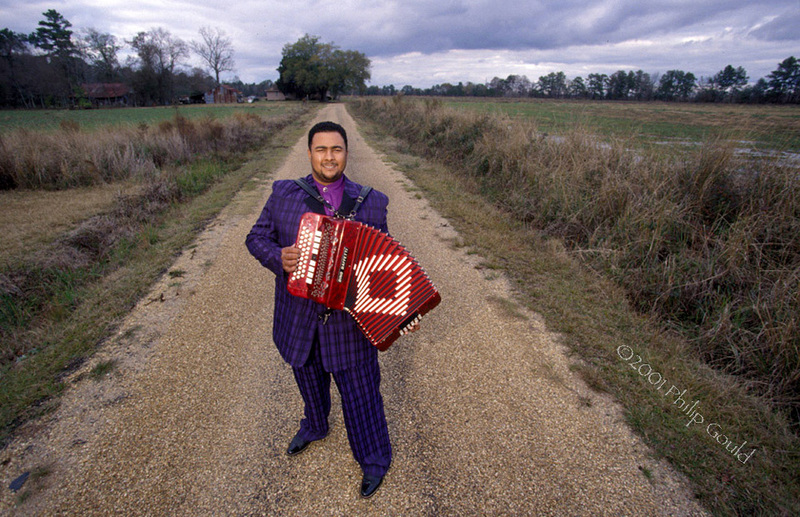 Cajun Accordionist John Vidrine plays the Courir de Mardi Gras dressed in traditional costume. 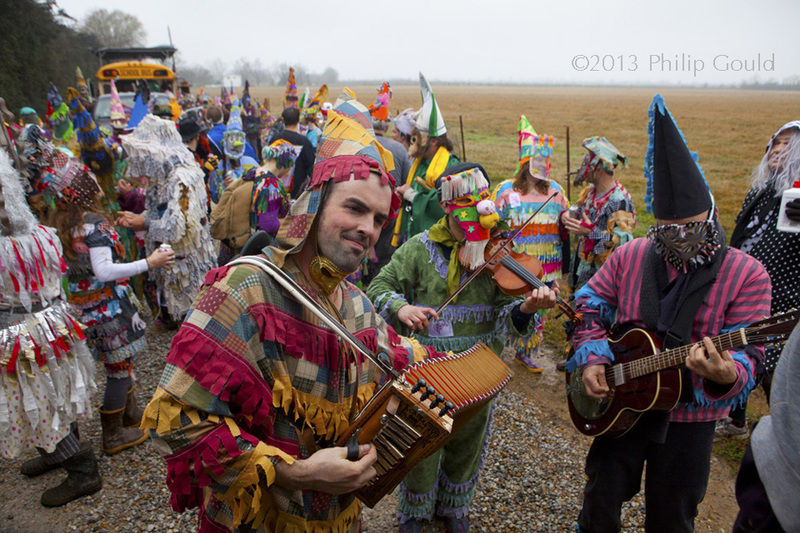 Wilson Savoy, Cajun musician, cultural enthusiast, and all around character serenades mardi gras riders as they walk along the prairies during the Faquetaigre Mardi Gras in 2013. 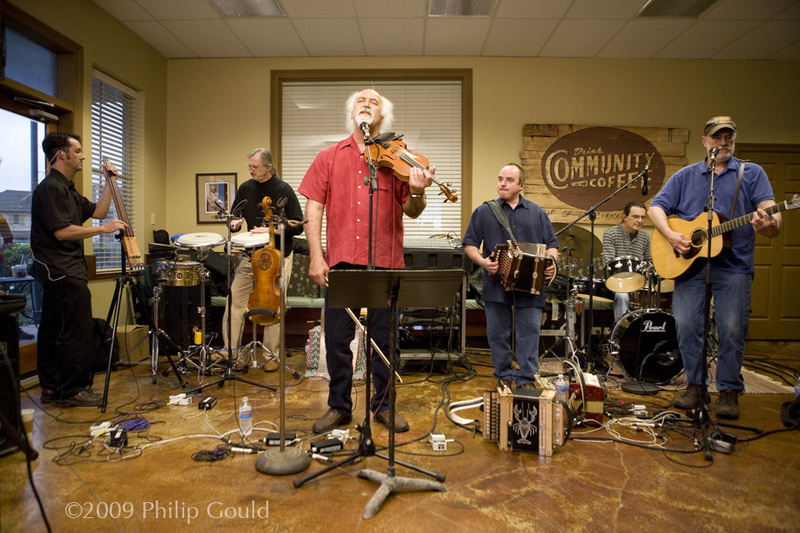 Wayne Toups and band demonstrate the power and enchantment of Cajun music and the accordion at Festivals Acadiens et Creoles in Lafayette, LA. 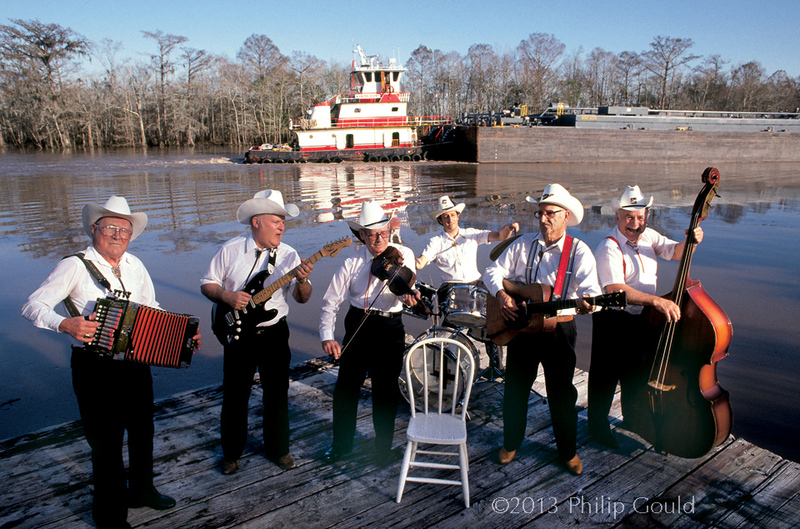 Members of the Hackberry Ramblers pose on an old wharf as a tug boat and barge pass on the Calcasieu River behind them. 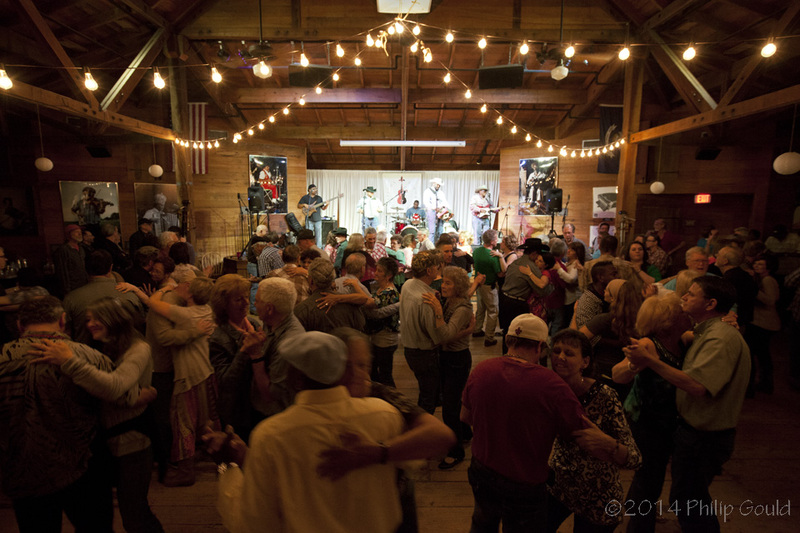 Attendees of the Dewey Balfa Traditional Music Camp at Vermilionville, a historic museum in Lafayette, LA, dance to the tunes of Zydeco Artist Geno Delafose. The Bon Temps Dancers, Mardi Gras, Iota, LA. 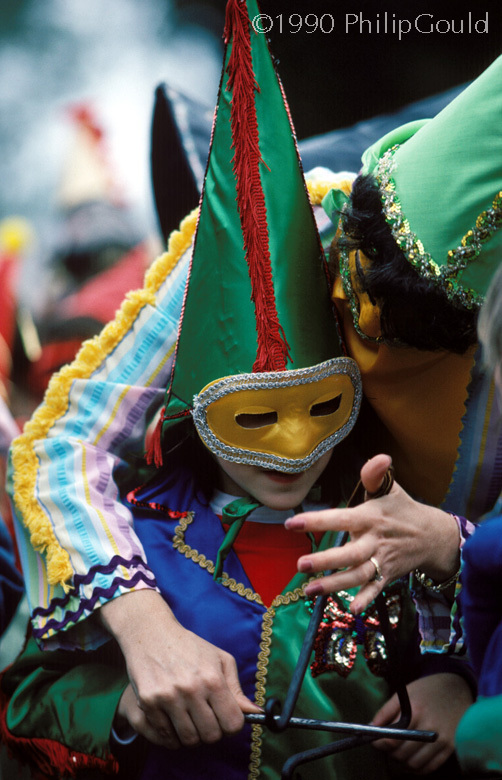 The Bon Temps Dancers from Lake Charles, LA perform a waltz during Mardi Gras Festivities in Iota, LA. This photo reminds me of Henri Cartier Bresson's "decisive moment" where the emotion, content, and composition all converge for one instant. 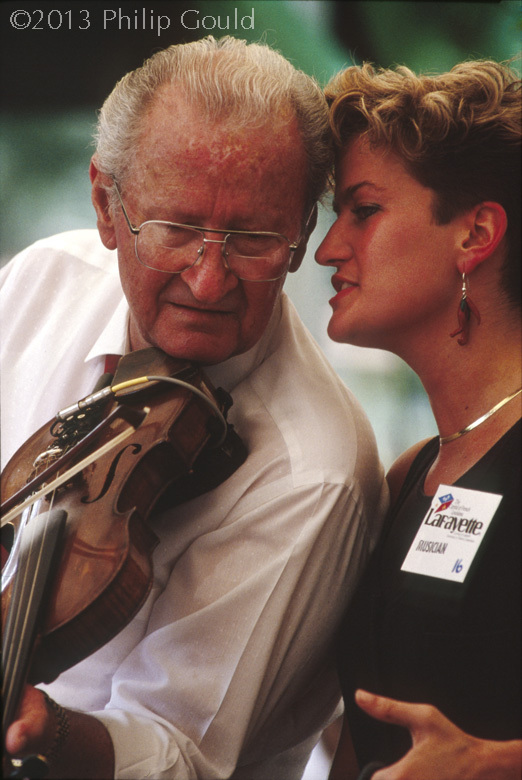 Renowned Cajun Fiddler Dewey Balfa and his daughter Christine perform at Festivals Acadiens et Creoles in Lafayette. Creole fiddler and musical pioneer Canray Fontenot poses at his home in Welsh, LA. He died in 1995. 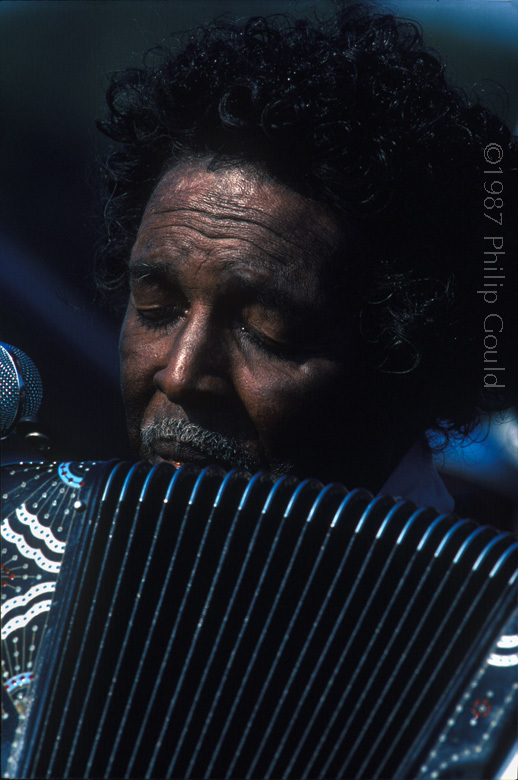 Clifton Chenier, originator of modern Zydeco music, plays his last Louisiana concert at the 1987 Zydeco Festival in Plaisance, LA. He died at the end of the year. 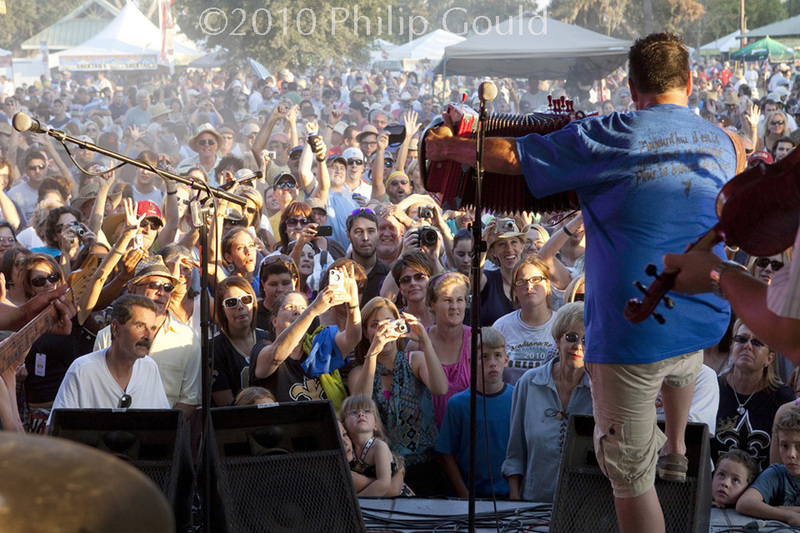 Cedric Watson is widely known as a Creole Zydeco accordionist and fiddler. 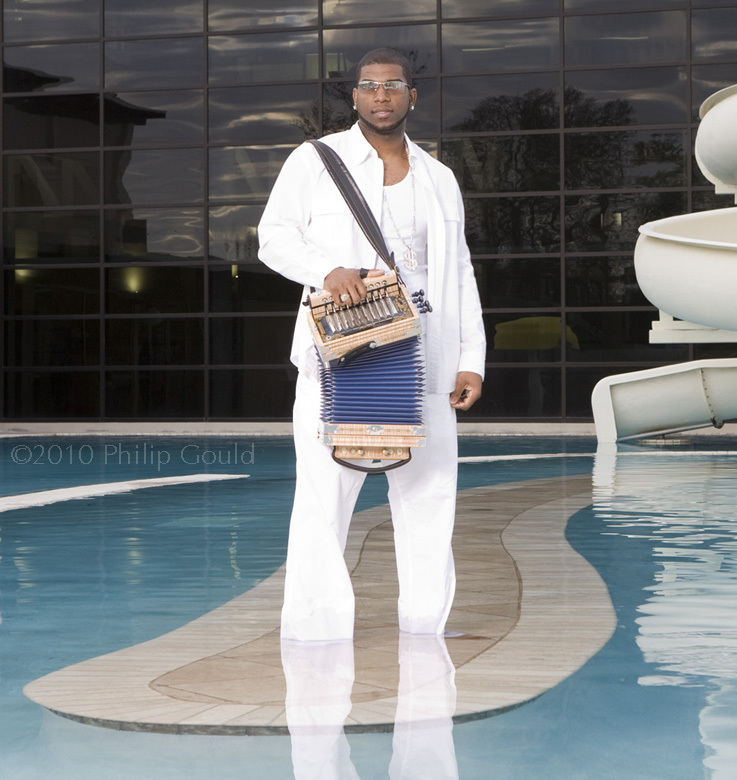 His musical style often encompasses sounds of the Caribbean, making him one of the more distinctive performers on the scene. Nathan "Pomme" Williams Jr. CD cover. 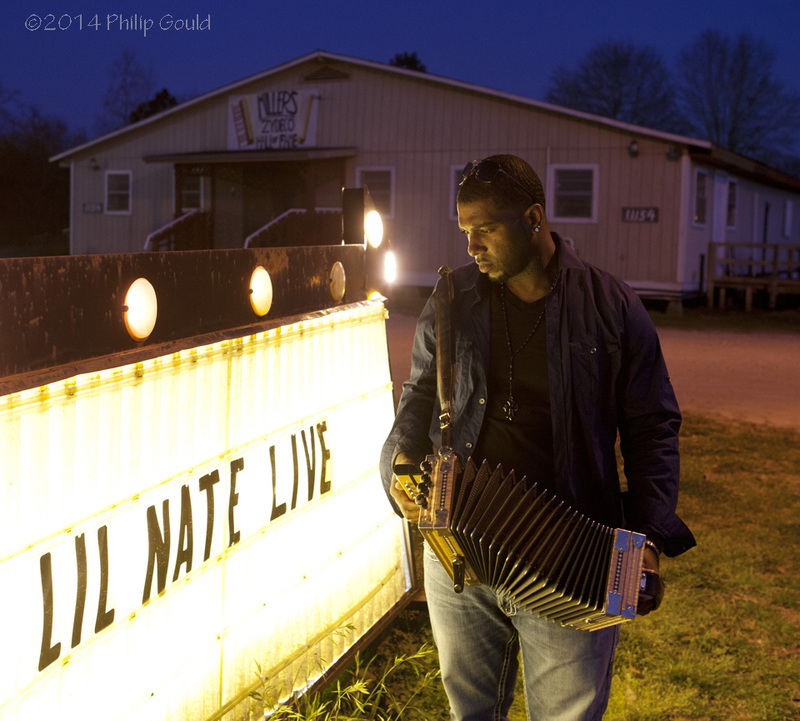 Nathan Williams comes from a major zydeco family in Louisiana that traces its roots directly, by influence, to Buckwheat Zydeco and Clifton Chenier. His dad is Nathan Williams Sr. His uncle is Dennis Paul Williams, guitarist extraordinaire and evocative artist to boot. 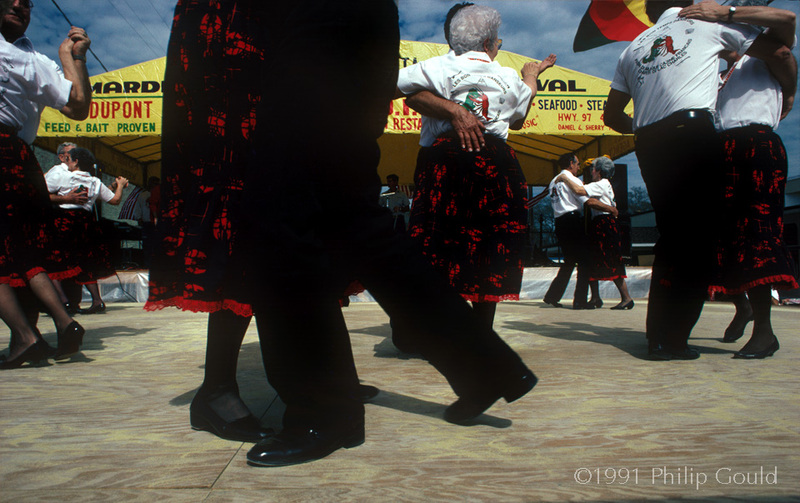 His other uncle Sid Williams owns El Sido's Zydeco Club in Lafayette. His grandmother's brother was bluesman Harry Hippolyte. The photo is from a CD shoot. We are getting close to walking on water. Nathan Williams Jr. at Miller's Club near Lawtell. 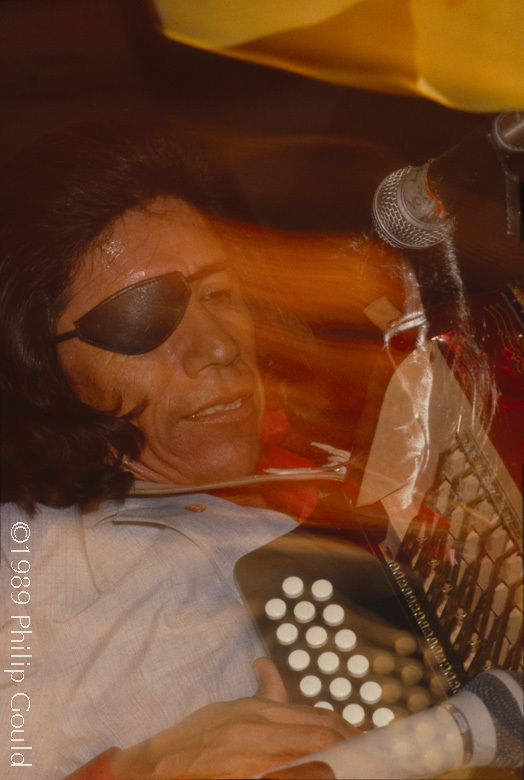 The image was used on a live cd he recorded there. 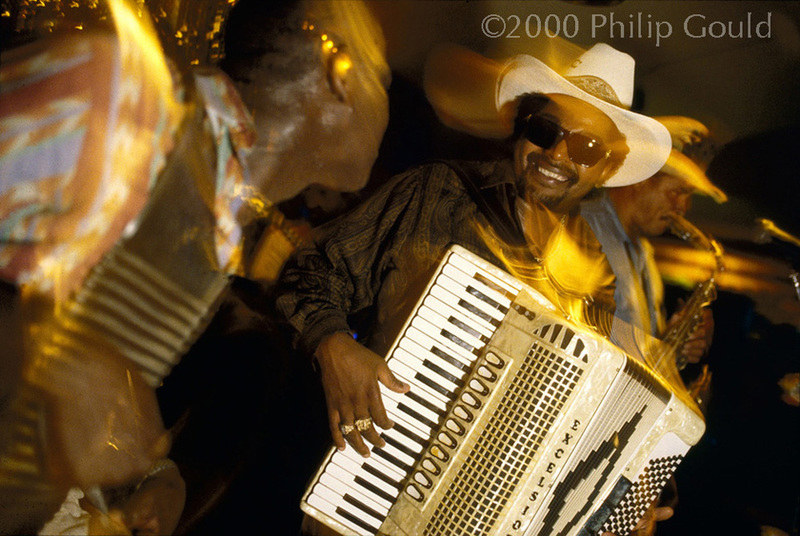 Nathan Williams leads his band the Zydeco Cha Chas through a tune during a gig at El Sido's Night Club in Lafayette, LA. Keith Frank, dressed in urban attire, poses at his home on Louisiana's southwest prairie. 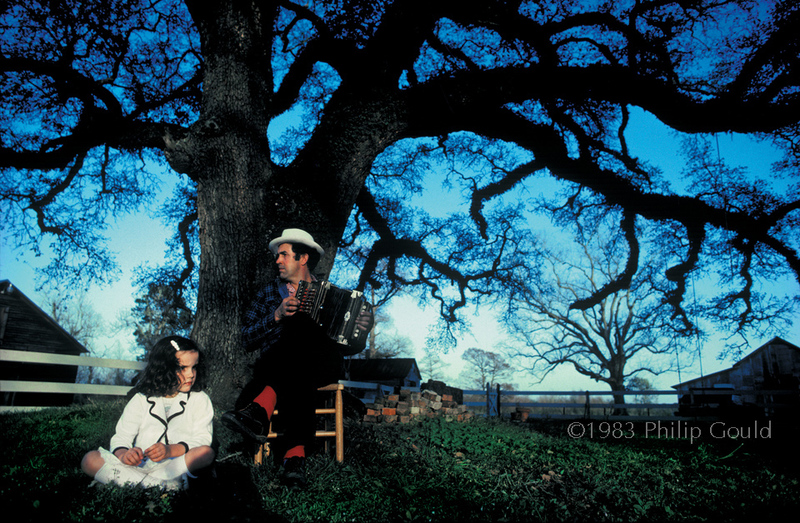 Marc Savoy plays one of the diatonic accordions he built in his back yard near Eunice, LA while his four year old daughter Sarah listens. 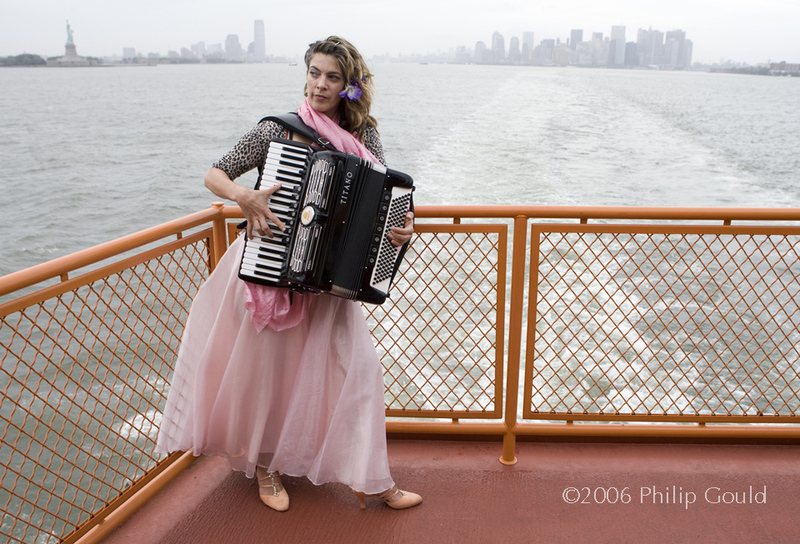 New York singer, songwriter and accordionist poses on the Staten Island Ferry in New York. Accordion Practice at Squeeze Box convention, Dallas, TX. 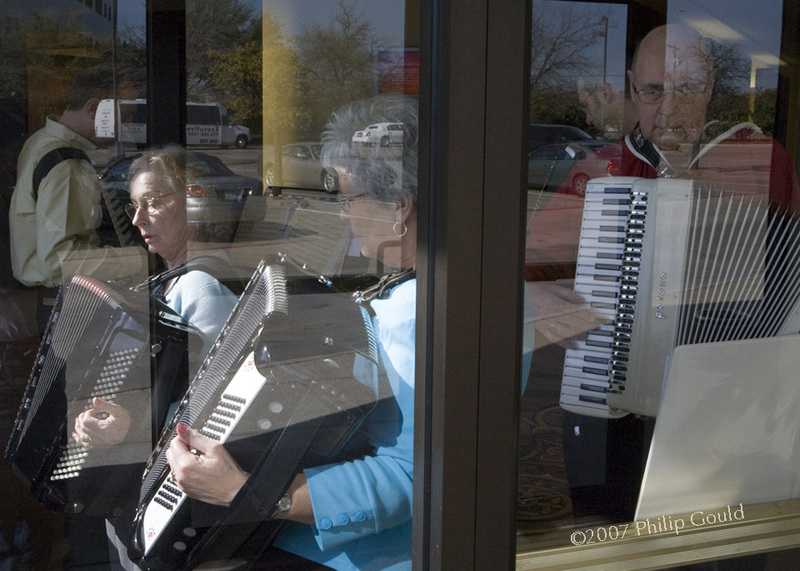 Folks practice on their accordions at a squeezebox convention near Dallas, TX. 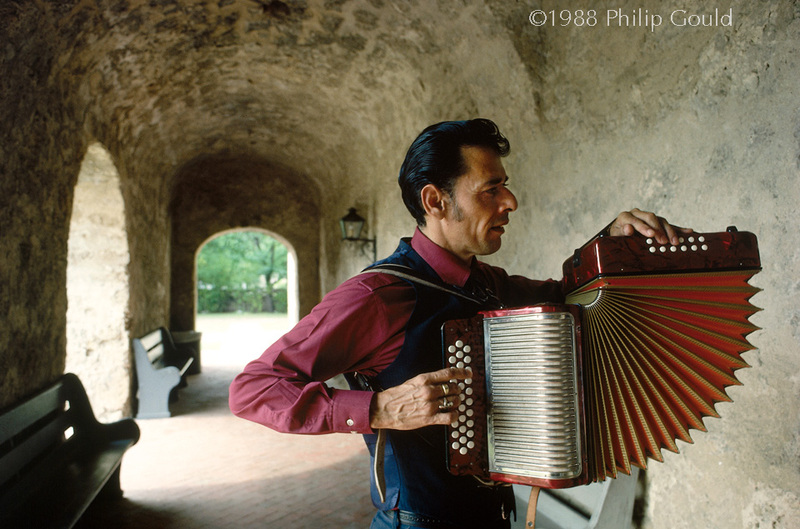 Conjunto accordionist Esteban Jordan plays for the annual Conjunto Festival in San Antonio, TX. 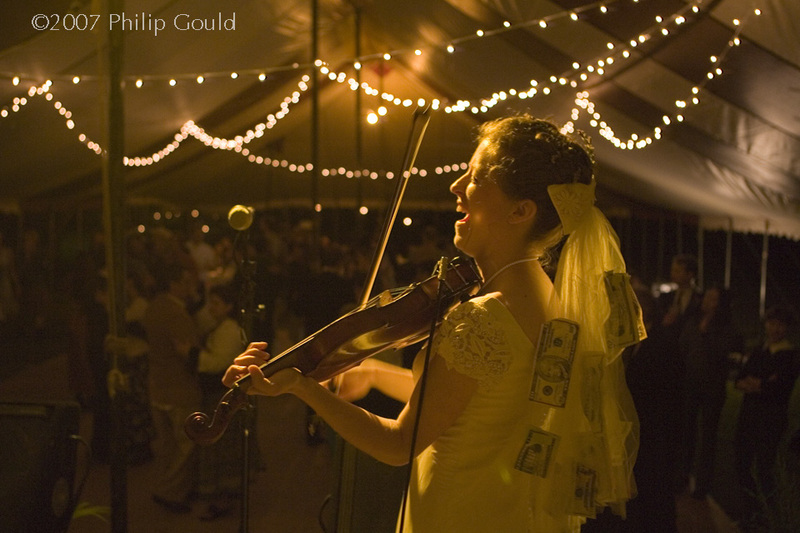 In the photo two unrelated flashes fire to illuminate the cutting edge accordionist. 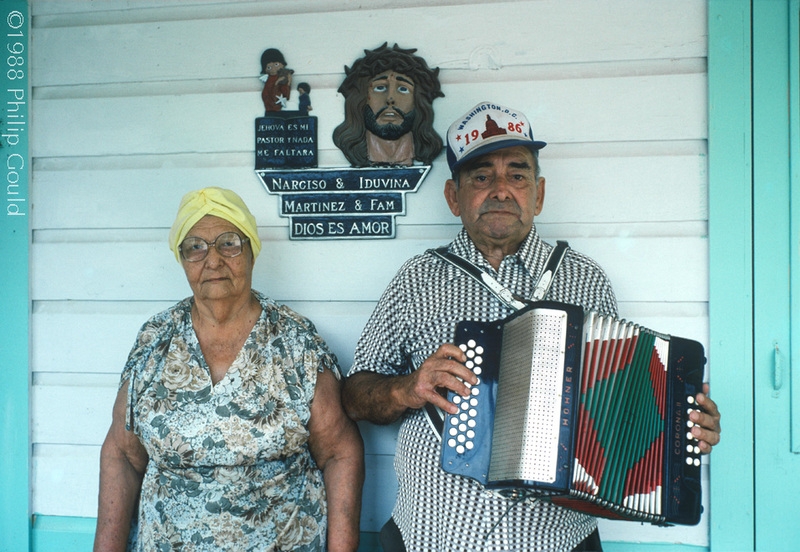 Conjunto music pioneer Narciso Martinez poses at home with his wife Iduvina near Mc Allen, Texas. Teresa Soyombo practices with fellow class mates during Lafayette HIgh School Marching Band's Band Camp. 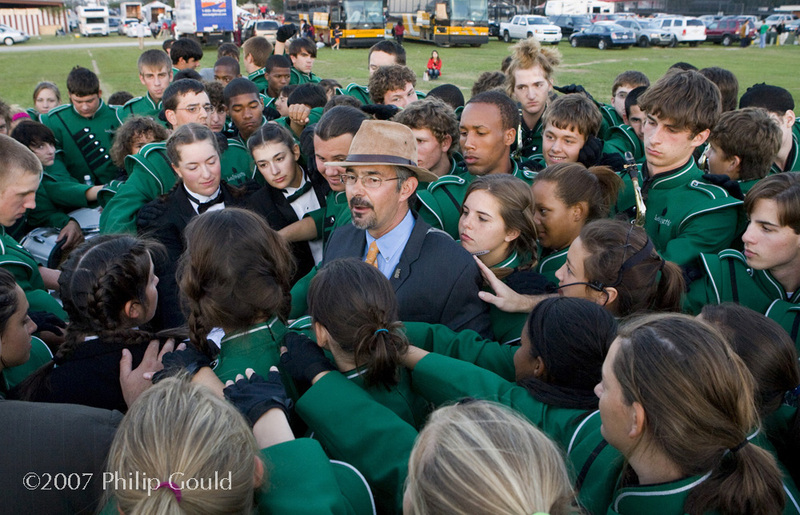 Lafayette High School Band director, Scotty Walker, gives his band a final pep talk before competing at the Statewide Showcase Competition in Lafayette, LA.